This pottery was purchased with funds from the C.B. and Jeanette Hastings Memorial fund. 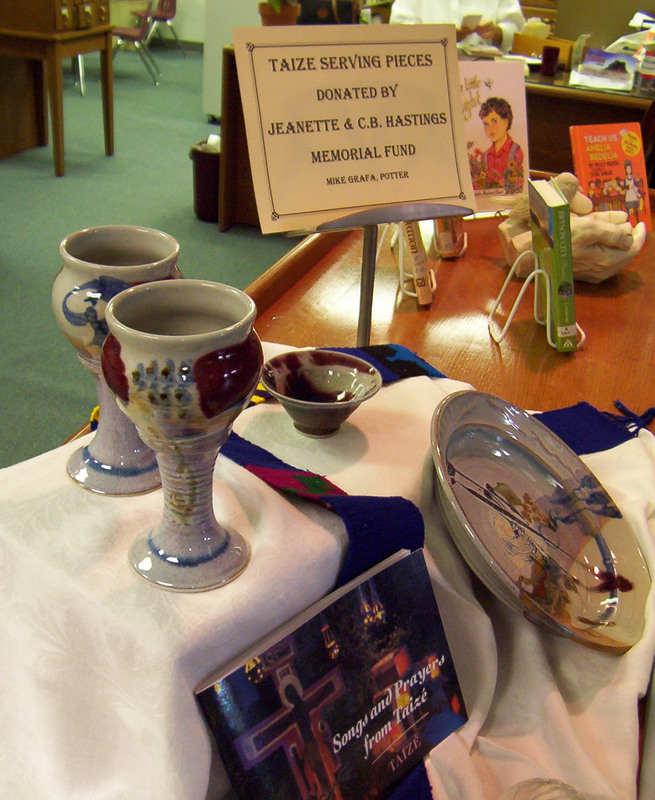 Highland Park Baptist Church conducts a Taize service once a month and uses these pottery pieces for the serving communion during the service.